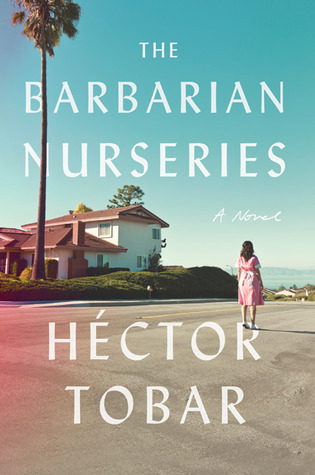 Biblibio: Family and fantasy themes in "The Barbarian Nurseries"
Family and fantasy themes in "The Barbarian Nurseries"
When I started reading Héctor Tobar's The Barbarian Nurseries, I felt a twinge in my stomach. Oh no, I thought, another disappointing book. The writing felt choppy at first: a third-person story that enabled multiple points-of-view without any clear indication of the shifts. But once I'd passed the first chapter, suddenly the movement between the POVs was seamless. The writing fell into place. The characters leapt out at me. And instead of getting annoyed about another sub-par book, I realized that for the first time in a while, I was reading a really good book and was able to just enjoy it. I can list several reasons why a reader might not like The Barbarian Nurseries. Unlike my favorite books, the flaws in this somewhat poorly-concluded novel jump out at me. Unlike most books, though, the flaws don't trouble me that much. That is, they're there, but for once the phrase "the good outweighs the bad" really does fit. Whatever faults The Barbarian Nurseries may have, they made little difference in the face of some truly wonderful aspects. But I don't want to review the book*, I want to discuss two themes in the book that jumped out at me. Tobar is no ordinary author. Clearly. In addition to writing the brilliant character of Brandon Torres-Thompson, Tobar manages to play with a few themes in a clean and simple manner. There are the big, overwhelming ones - the obvious immigration theme, for starters, as well as the overarching family theme - but then there are ones that are more subtle and subdued, namely that of fantasy. The matter of family (and how to manage one) is an apparent theme in The Barbarian Nurseries. Right from the early pages, Tobar introduces readers to the family unit - mother Maureen, father Scott, the three kids, and housekeeper-now-nanny Araceli. Tobar spends the first hundred or so pages setting up the family dynamic, displaying the emotional strain each adult character is under in their attempt to achieve "perfection". It's a wonderful and fascinating theme, particularly because of its near-universality: few readers, I suspect, will not find some form through which to relate to Tobar's realistic family drama. Tobar raises excellent questions about child-rearing and parenthood, about boundaries and space, about responsibility and personal desires and needs. And yet it's the fantasy theme in The Barbarian Nurseries that truly struck home for me. Introduced in an offhand manner in the first chapter - Maureen mentions Scott's obsession with video games - it gradually lets the reader see how every character engages in some form of escapism, whether through reading, art, video games, or just extensive use of the imagination. The most successful outlet for this theme is through Brandon's literary imaginings, particularly in the scene in which he tells other children of the fantasy books he so loves. In conversation with the underprivileged young boy Tomás about various fantasy books, Tomás thinks how he "did not know books could contain dramatic and violent tales rooted in real life." This echoes Brandon's disbelief and innocence regarding the harsh truths of world outside his sheltered existence. The more I think about The Barbarian Nurseries, the more I find myself wanting to pull it apart piece by piece, to reread it carefully and savor its words again, to write out all the excellent passages within its pages, and to pass the book along to others. Though the abrupt shift in tone and theme in the last section could have been done a bit more realistically with fewer stereotypical characters, at the end of the day I was completely swept away by the book. The conclusion - though the weakest aspect of the book - nonetheless contains wonderful closure to the family theme. And the fantasy theme? One of my favorite scenes in The Barbarian Nurseries takes place in the final pages - Brandon, he of the fantastic imagination, finds himself distracted from his story recollections in the face of a stronger reality. It's a moment in which the real world wins and fantasy takes a backseat. But is Brandon done dreaming? Has he forsaken fantasy worlds? I think not. Tobar leaves this theme open, perhaps recognizing that sometimes things are best left to the imagination. Wow, what a great review. This book sounds beautifully layered, and now I think I'd really like to read it.